Welcome to Cavalier King Charles Spaniel Rescue. Tracey’s aim is to rescue and re-home abandoned, unwanted, abused and neglected Cavalier King Charles Spaniels from NSW, ACT, Victoria, Tasmania, South Australia, Western Australia, and Queensland. Cavalier King Charles Spaniel Rescue is devoted to the Cavalier King Charles Spaniel breed and understands and appreciates their nature. Cavalier King Charles Spaniel Rescue is located on Northern Beaches, Sydney Australia and is a non- profit rescue. This Rescue is run by Tracey. I devote my life to taking in Cavalier King Charles Spaniels & finding them a happy new home. I have a great love for Cavalier King Charles Spaniels and I will always provide nothing but the best of health and care for these precious dogs. All the Cavalier King Charles Spaniels that come to me come through no fault of their own, owing to a variety of circumstances. Some are rescued from local pounds and shelters; others have been rescued from abusive situations such as puppy farms; whilst others are privately surrendered for re-homing. While in my care, Cavalier King Charles Spaniels are immunized, wormed, de-sexed, micro-chipped and treated for heartworm and other worms, flea treated and washed. Being a home based rescue, I can ensure that Cavalier King Charles Spaniels that are rehomed are well socialized with both people and other animals and in most cases they are also house-trained. Another advantage of being a home based rescue is that you don't have to worry about "business hours" and in most cases I am more than happy to have you meet your prospective new Cavalier King Charles Spaniel at any suitable time including evenings and weekends. You will also be seeing and meeting the animals in a home, or a backyard environment rather than in a shelter. Generally, you are also able to spend more time with the animals than you would expect to do otherwise. I also have a reasonably good understanding of the Cavalier King Charles Spaniel that I am caring for, so I can advise prospective adopting families of personality traits, and the likes and dislikes etc of the Cavalier King Charles Spaniel that you are interested in. I would like to see their new home lasts forever. Please email me for Cavalier Adoption Information Form so I can add you to my waiting list. We understand not everyone is able to take a dog into their care and find a new home for it. There are a number of different ways you can help me to continue saving Cavalier King Charles Spaniel from death row and finding new homes for them. Donations of any amount are gratefully received. Petrol costs for transport and lots. Every donation no matter how small will help us to save more lives. Each dog is de-sexed, vaccinated, heartworm tested, microchipped, wormed, heart wormed vet-checked, flea treated, flea rinsed and temperament-assessed prior to re-homing. Or if you would like to make a donation to assist with vet work, or to help with purchasing any of the above items to help Cavalier King Charles Spaniel Rescue. I do need help occasionally, as a lot of Cavalier King Charles Spaniels arrive in terrible condition, with filthy coats. If you have a professional mobile grooming facility I would love your assistance to help keep the dogs in a clean and tidy condition while they await their new homes. Most of the Cavalier King Charles Spaniels come from NSW and need transport to NTH Manly though I do need interstate help occasionally. If you are able to offer transport at anytime it is always appreciated. My goal is to save as many lives as I possibly can and give them a future to look forward to. Please help me to achieve my goal. Don't forget an older Cavalier King Charles Spaniel has just as much love to give as the younger ones. There are no puppy stages to go through. Older Cavalier King Charles Spaniel are just waiting for loving owners to adopt them and show all the love they deserve. If you are living on your own or even getting older yourself, you may not have all the time or energy required to train a new puppy, so an older dog that has already been trained & has had many experiences can be very adaptable. An easy going & calm pet may just be what you need. Well we can certainly help you find the perfect pet for your needs. An older Cavalier King Charles Spaniel can adapt to a new living environment and still learn new tricks at this age. Just because its previous owner can no longer provide care for their Cavalier King Charles Spaniel it does not mean life must stop for an innocent animal. An older pet may just be ideal for your current living situation they maybe the perfect solution for your needs. They usually love to laze around or just go for a short stroll, mainly just being a loved part of the family. Older dogs need to continue exercising to keep their hearts and muscles strong therefore you can still take your dog for walks, play fetch that they enjoy. Your Cavalier King Charles Spaniel will still appreciate the time it spends with you in its later years. Thanks so much to the local vet and their support they dedicate their professional time and always there when I need them and are always more than happy to go "the extra mile" to help and support the Cavalier King Charles Spaniel Rescue. Thanks to the companies that on occasions donate dog biscuits. A "NOT GUILTY" way of finding your animal a new home. Your pet will SURVIVE to see a loving new home! If you are in a situation where you can no longer keep your pet….then you should be so happy to have found this Cavalier King Charles Spaniel. Surrendering an animal does not have to be so painful. You have found an option that you may not have thought existed. We are here to give your pet the best possible home that it truly deserves. Sometimes situations arise that you may not have been prepared for. Surrendering your pet may have never entered your mind…until now. Things happen in life that we can’t always prevent & you are forced to give up a part of your family. It’s sad, but it’s also reality. Are you moving into a home that does not allow pets….or do you have to downsize to a place that would not be fair to keep your Cavalier King Charles Spaniel? Perhaps you are starting a new family and are worried how your pet will react…this can be putting your family at risk when there is a jealous pet involved. Your pet may just be causing you some hassle that you can no longer cope with…whatever the reason, I can help. Informing me of your animal’s behavior can really help me determine the best possible home for your pet. Any behavioral issues maybe rectified through training. We believe that the animals deserve a chance and can find their perfect home through our experienced screening & assessments. So please call me or email your details so I can help you. I have a ‘duty of care’ to our Cavalier King Charles Spaniels. I take this very seriously. I screen potential new owners, to make sure that they are able and committed to providing a good home. Some Cavalier King Charles Spaniel have been in unfortunate circumstances. The Cavalier King Charles Spaniels I rescue are depending on me to find them a home where they will be safe, happy, healthy, and loved as a valued family member. Screening, via adoption enquiry form, helps me to establish if a potential new owner is able and committed to providing for the needs of a Cavalier King Charles Spaniel. Screening also helps me to match potential new owners up with a suitable pet for their circumstances and lifestyle. Too many animals finish up abandoned or dumped at pounds or other animal welfare agencies, because their owners did not select them to suit their circumstances or did not fully consider the cost, time and commitment involved in owning a pet. I want to prevent this happening to Cavalier King Charles Spaniels that I rescue and re-home. Having a pet is a privilege not a right I believe Cavalier King Charles Spaniels are members of the family and should be treated as part of the family that live inside (as they are not an outside dog) they are a dog that just want to please you and give unconditional love and in return I ask you to welcome a Cavalier King Charles Spaniel into your family and acknowledge that having a Cavalier King Charles Spaniel is for life. 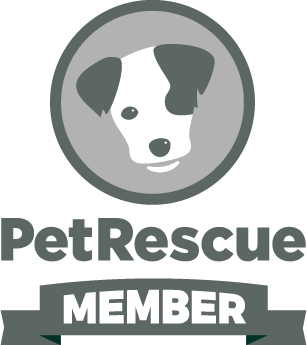 Thank you for considering adopting one of our rescued pets. You have the potential to make the difference between life and death, for a rescued pet, as each one you adopt enables me to rescue another. On behalf of the Cavalier King Charles Spaniels, thank you for your support. Please send an email or call for the adoption Information forms .